I had so much fun making this sweet tag! 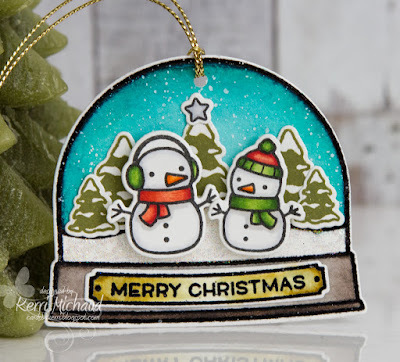 I started my heat embossing my snow globe and coloring it with Zig Clean Color Real Brush Markers. I then added the "snow" by sprinkling watered down white paint onto the globe. I stamped the adorable snowmen and colored with Copic Markers. I then stamped the trees using some dark green ink. I cut everything out with the coordinating Ready, Set, Snow Lawn Cuts. 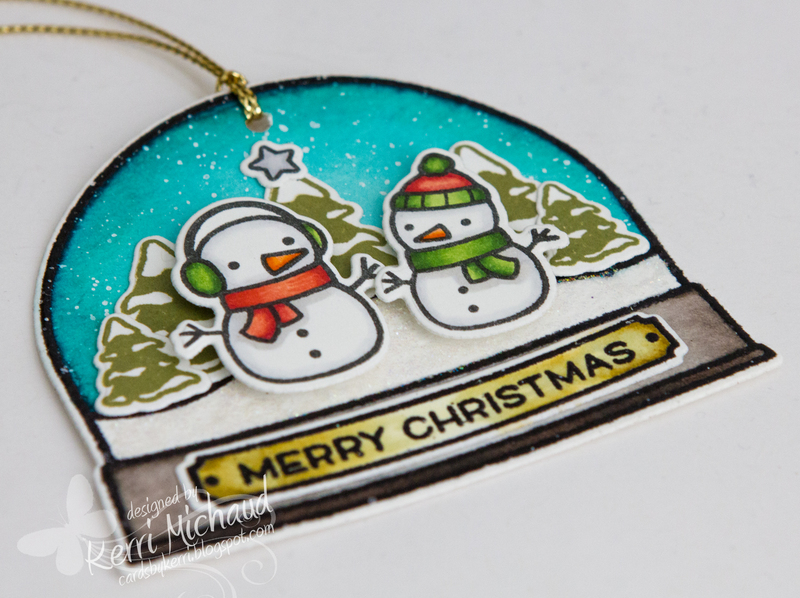 Finally, I heat embossed the sentiment and then used my Zig Clean Color Real Brush Markers once again to color around it. Love how it came out!